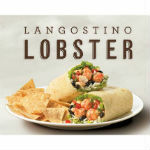 Get a free Langostino Lobster at Rubio’s. Join this exclusive event to get a free Langostino Lobster at Rubio’s on October 24. Fill out the form at the right, select your desired location and time.